We had to keep things local on Saturday due to the necessary evil that is my week on call from work. It did give us the perfect excuse to go and visit Crymlyn Bog though, a reserve we've been meaning to try out ever since seeing it on a recent TV series by Iolo Williams. Remarkably it is the largest area of lowland fen in Wales as well as a site of international importance, all despite being nestled on the outskirts of Swansea between the M4 motorway, an old oil refinery and the local rubbish dump. Its very survival should be celebrated let alone the abundance of rare plants and animals that can be found there. We got a small taster of how special this place can be within minutes of leaving the car, when beneath a decent passage of Swallows a very healthy looking Fox ambled across the hill below us. It was by far the biggest and bushiest individual I have seen which must mean there is a decent food supply nearby (maybe that rubbish dump isn't a total disaster after all). 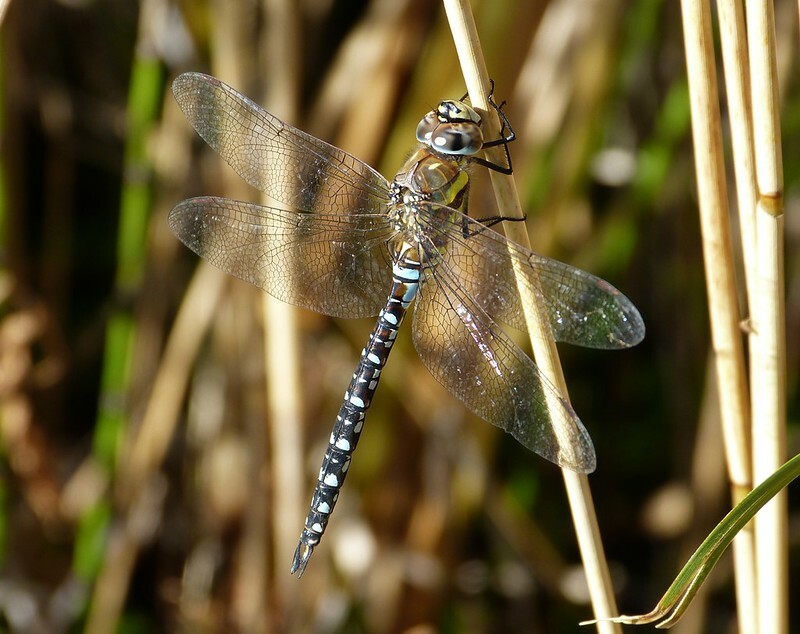 Buzzards, Green Woodpeckers, Reed Buntings, Jays, a Sparrowhawk, Song Thrush and yet more Swallows were all seen in quick succession as we continued around the reserve, but it was a dragonfly that first fell under the gaze of my lens. This male Migrant Hawker was posing beautifully in the early morning sun and represents a new species for me. 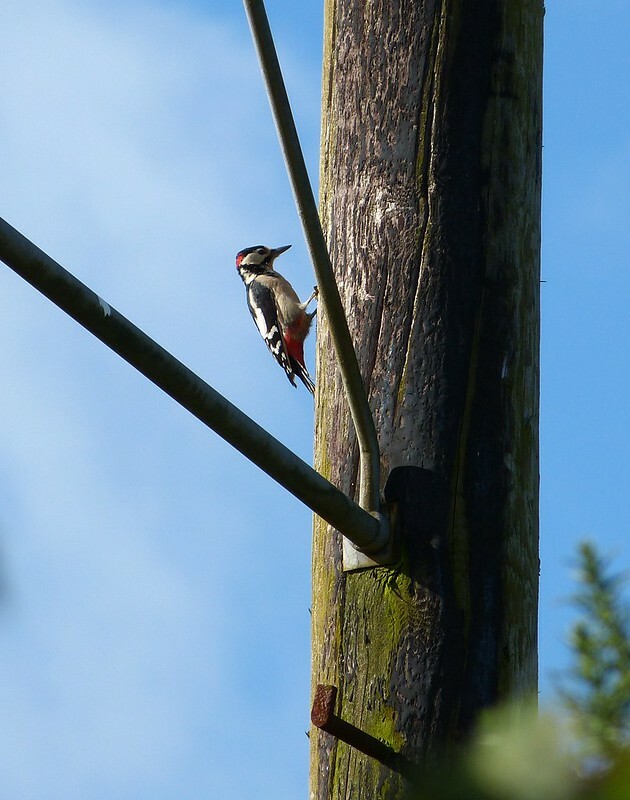 Back to the birds and a special mention should go to the numerous Great Spotted Woodpeckers who seemed to be flitting through every small copse of trees we passed. Apart from the individual we had in our garden a few weeks ago I've really not seen very many this year, so it was a real treat. One even posed out in the open just long enough for me to grab a shot. From Crymlyn Bog we headed over to Brunel Dock where there was lots and lots of mud. And a Redshank. But that was about it. From there it was over to Bracelet Bay in what is rapidly becoming our destination of choice when we have a few hours to kill. It was good to see that work is progressing well on the restoration of Mumbles Pier and that the works aren't having any discernible impact on the surrounding environment. In fact the rock pools out towards Mumble Head were filled with more life than I have ever seen, including a spectacular array of Hermit Crabs. I'll save those for a future post though. My real aim was to try and photograph the Turnstones that have been evading me ever since I upgraded my camera. Again they were pretty flighty due to the number of people present but I did manage to creep up on a pair that were very accommodating. The shot above was the best of the bunch but I think I'll have to wait until later in the year to get some better results. 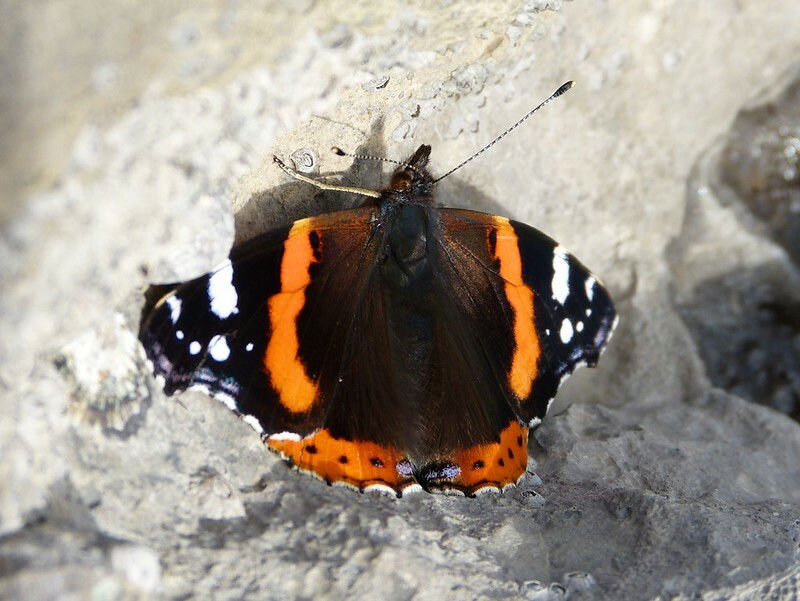 Unusually there was also a Red Admiral butterfly on the foreshore. I guess everything likes to spend a bit of time by the sea. Back in Bracelet Bay itself and I was very pleased to see that there has been a sharp increase in the number of Mediterranean Gulls present. I counted at least nine individuals but it is likely that there were many more. Their favoured position, as always, was on the grass opposite the car park which is an absolute pig to photograph against. If you aren't dodging the road then they're off before you can get close. I did spot a few up by the coastguard station however which proved to be much more approachable. I also got a shot of one bird wearing a red ring that read YHE8. I shall send the details off to the relevant ringing body and will report back once I have its history. 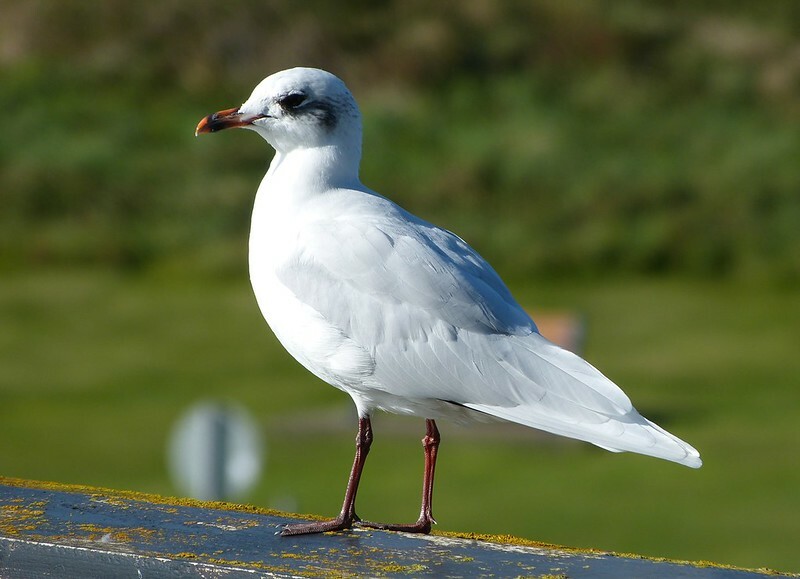 Yes, the Mediterranean Gulls are my favourtes, brilliant photos. Great series Adam!! Boom & Gary of the Vermilon River, Canada. 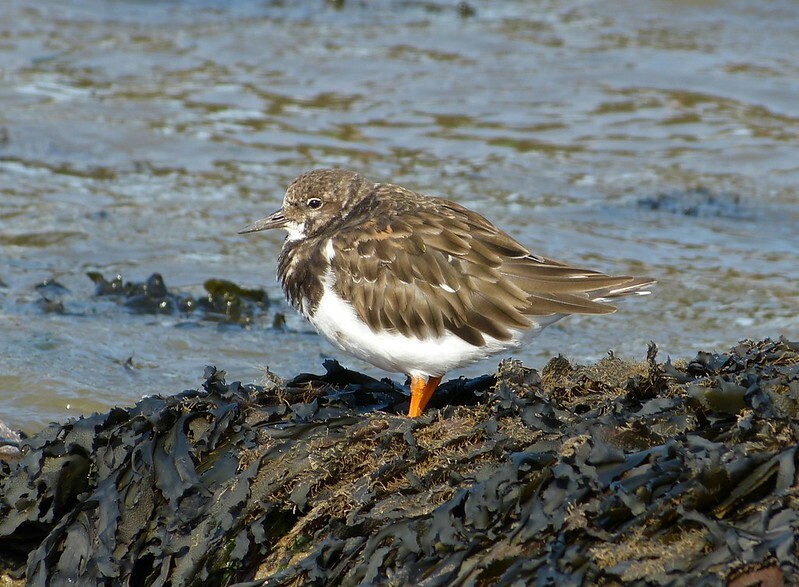 Great photos and I especially like the Turnstone. You say that Crymlyn Bog is a site of international importance. I am wondering if it is a Ramsar site? The ocean wetlands close to me are listed as Ramsar sites - wetlands of international importance. 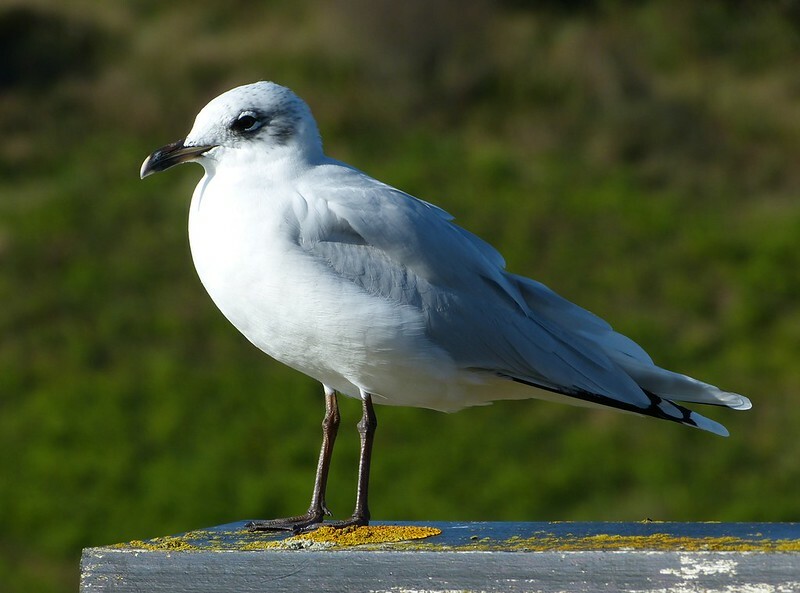 Your day out sounds like a what's what of UK birding!! 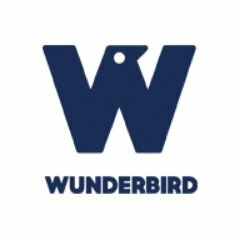 It's a thrill to see pix of birds we don't get downunder - the woodpecker is a personal favourite!! Thanx for the glimpse into your world! TexWisGirl - I shall pass on your compliment. 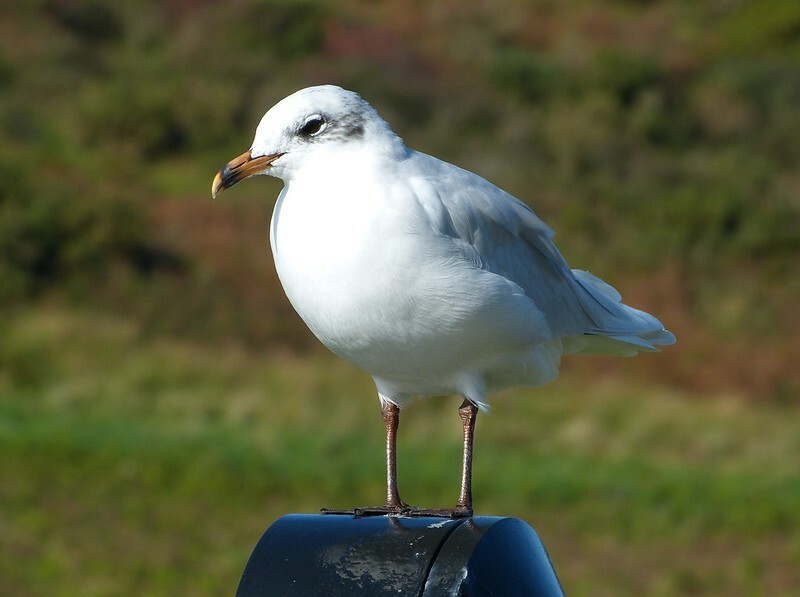 Bob - they're great gulls. Something a little bit different. Mick - not sure on that one, I shall have to look it up. Red - glad you enjoyed.